ZLINE 30 in. Under Cabinet Range Hood. 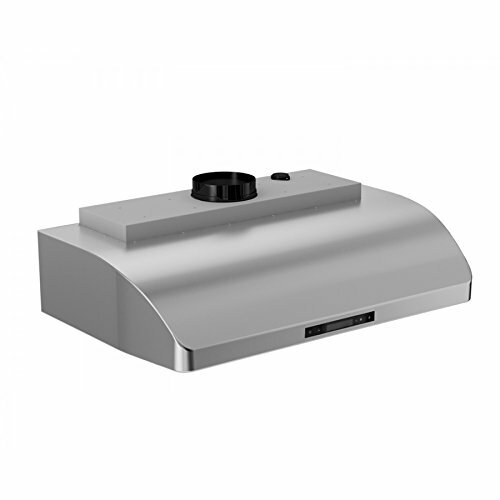 This high performance, 900 CFM Range Hood quietly and efficiently moves large volumes of air away from your cook stove area. An elegant brushed stainless steel finish on the exterior surface combined with a modern design including 4-speed push button fan control makes this range hood a great addition to your kitchen. Easily removable dishwasher-safe stainless steel baffle filters provide for easy cleanup. Contains everything you need for easy installation and enjoyment for years to come. Includes free LED light upgrade.